I’m Ed Smith, a Sacramento wrongful death lawyer. Motorcyclists know that their risk of injury or death on the road is much higher than that of those in a motor vehicle. 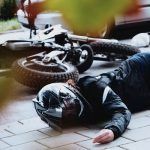 While some of those accident injuries and fatalities are caused by negligence on the part of the rider, others are caused by the larger, heavier motor vehicles. When a motorcycle rider dies as a result of a driver’s negligence, the family may be entitled to place a claim for financial compensation. Speeding: Vehicles that speed are more difficult to control and stop in an emergency. It also reduces the ability of a driver to see a motorcyclist. Drunk driving: Alcohol consumption by the driver of a motor vehicle hinders the driver’s ability to make correct decisions and affects vision, coordination, and comprehension, according to the American Association for the Advancement of Science. Changing lanes unsafely: Motorists who neglect to signal a lane change or change lanes without looking for motorcyclists and other vehicles endanger others on the road. Stopping suddenly: In this type of accident common to motorcycle riders, the motor vehicle in front stops suddenly, which causes a rear-end collision. A disaster of this type can unseat the motorcycle rider, increasing the risk of serious injuries or death. Dangerous roads: Lack of maintenance on streets such as potholes, missing signs, debris and crumbled pavement can cause a motorcycle rider to lose control. 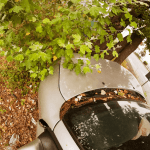 Accidents that occur on public roads fall under a government entity such as city, county, state or federal jurisdiction. In some cases, that jurisdiction is shared by more than one body. A driver opens the vehicle’s door: Those who are parked sometimes neglect to look for oncoming traffic when opening a car door. This can cause a motorcycle rider to hit the door. 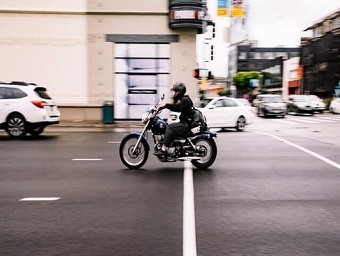 Left turns in front of a rider: According to RideApart, this is one of the most common causes of motorcycle accidents. Causes can be due to distracted driving, not seeing a motorcycle and incorrectly calculating the rider’s speed. For the family of a deceased motorcycle rider to obtain compensation for their loss, it is necessary to determine fault in the accident. An experienced motorcycle accident lawyer uses various means to do this. Besides collecting the medical records, police report and witness accounts of the crash, the lawyer can use accident reconstruction experts to comb through the evidence to recreate the crash. The lawyer also uses expert witnesses to determine evasive maneuvers the driver could have taken but didn’t and negligent actions by the driver that contributed to the crash. 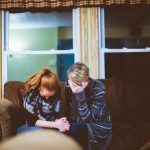 In this way, a seasoned lawyer builds a case for compensation for the loss of a loved one. I’m Ed Smith, a Sacramento wrongful death lawyer. Motorcycle riders face danger from motorists every time they get on the road. If you lost a loved one on a motorcycle to a collision caused by a negligent driver, I can help. For my friendly, free advice, please contact me at (916) 921-6400. I can also be reached at (800) 404-5400 or on my online form. Visit Settlements and Verdicts to look at prior cases and their resolutions. Reviews of my practice as an injury lawyer are found on Google, Yelp and at Avvo. I belong to the Million Dollar Forum, which is comprised of trial lawyers with verdicts exceeding $1 million for a past clients. 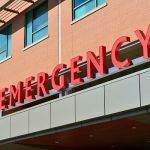 Since 1982, I’ve practiced personal injury law and have helped many Sacramento and Northern California residents in areas such as brain injuries, auto accidents, and other serious injuries.